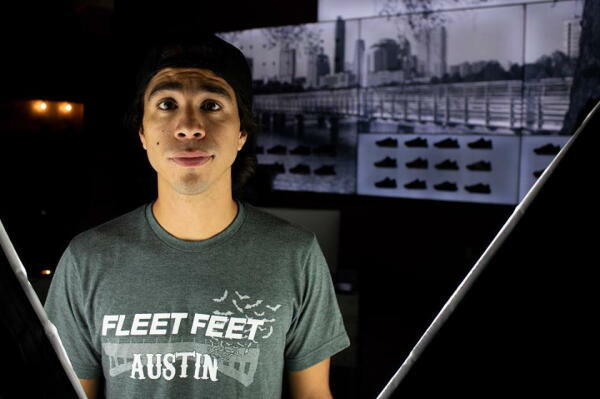 The Fleet Feet Austin team is comprised of the most passionate individuals in running specialty. Their focus is centered around giving our guests the best possible experience time after time as well as ensuring you achieve your needs in lifestyle, fit, customer service, training and product. Unger - A sparkling water conossieur & caffeine addict, Andrew brings his love for backcountry and fitting expertise to the warm confines of Fleet Feet Austin. He spends his free time fly fishing, on the trails, and seeking out the coldest of brews----all the while fueled by breakfast tacos. Technical questions about telecom or curious about the latest and greatest in the world of running? Unger’s your man. Fry - A former lacrosse player at The University of Colorado - Colorado Springs, Faith’s infectious positive attitude is as memorable as her ability to parallel park her Jeep. 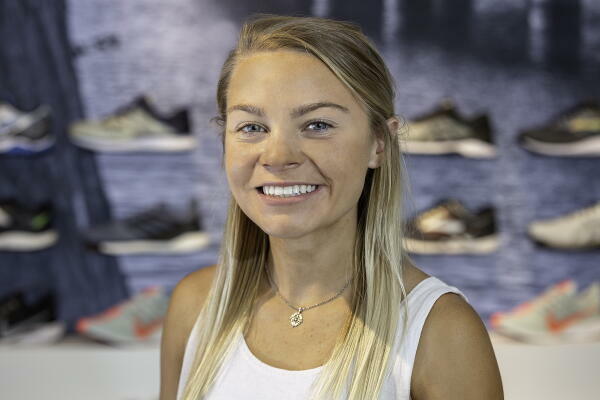 Previously a 300m hurdler and sprint relay specialist, Fry has now pivoted her focus to Fleet Feet Austin’s customer experience and her continued education at Texas State University. Have a dog that needs petting or simply looking for plantar fasciitis remedies? Fry can do it all. Yellowbird - Simply put, Daniel Thompson is the man. A venerable industry veteran and lifelong runner, Yellowbird’s ability to convey his wide-ranging product knowledge in a concise fashion is second to none. Questions about 18th century opera? Need a simple hot sauce flavor recommendation? Curious about the benefits of increasing your running cadence? Questions about 18th century opera, need a simple hot sauce flavor recommendation, AND curious about the benefits of increasing your running cadence? Even better, DT can do it all. Cici - Christine brings a valuable amount of industry experience to the team, having spent a few years at the renowned Fleet Feet Chicago. A true believer in consuming tacos and dessert everyday, Cici spends her free time hiking local trails, sweating in local fitness classes, and housing foster pups. She’ll be most at peace in the Fall, openly expressing her love for the sound of crunching leaves underfoot---be sure to keep a lookout for this agglutinant member of the Fleet Feet Austin family. Slim - Michael Morris once challenged Joey Chestnut to a hotdog eating contest---just one example of his unassuming and fiery competitive edge. A Texas State University Alum and school record holder in the steeplechase, Slim’s most proud athletic achievement was starting on his pee-wee football team. 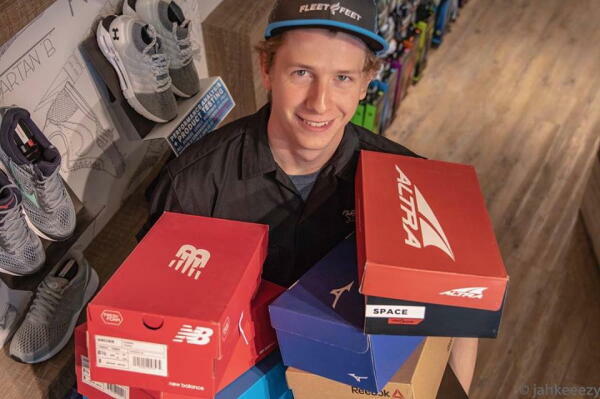 A self-described “has been” runner, Fleet Feet Austin leans on Slim to highlight our industry-leading customer experience. Griff - Set to graduate from St. Edwards next Spring, Sam, a New Orleans native, brings his Big Easy attitude to Fleet Feet Austin’s customer experience. While a majority of his current time is spent finishing his degree in writing and rhetoric, Griff makes it a point to explore Central Austin’s trails, aiming to share his personal products experience with those eager to learn in their benefits. Goose - Hailing from Laredo, Goose is the only Fleet Feet Austin team member that is fluent in Spanish (most others are fluent in sarcasm). A former cross-country and track standout at Texas A&M Kingsville and The University of Texas of the Permian Basin, Goose has now turned his full attention to all things Fleet Feet Austin, his #1 fan (his dog named Domino), and his semi-professional sleeping career. 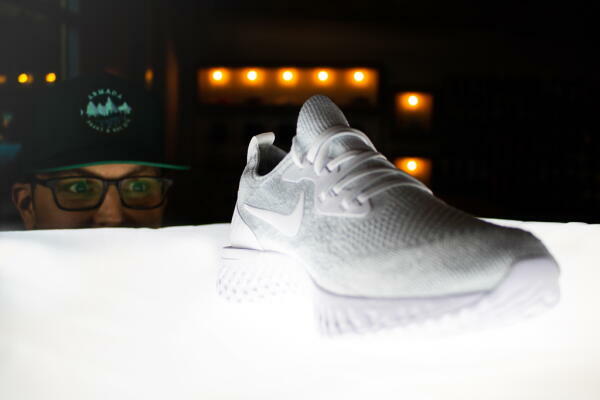 Do you like to geek out about footwear and other pertinent running accessories? Goose is your lead. Taylor Jacob Pate brings his passion for writing, painting, and running all the way from the bayous of Louisiana. Born in New Orleans and raised all over, Taylor earned his Masters of Fine Arts from The University of Texas and has called Austin home for some time. Alongside his partner Blake Lee and adorable dog Zoe, Taylor helps refine Fleet Feet Austin's customer experience with his tenderhearted nature. Curious about the latest shoe release or simply looking for the best fit? Taylor will get you there. Ari has dreamt of leading a passion-driven team to add value to their own lives, while encouraging a warm, disruptive, and effective connection with the Austin-area community. 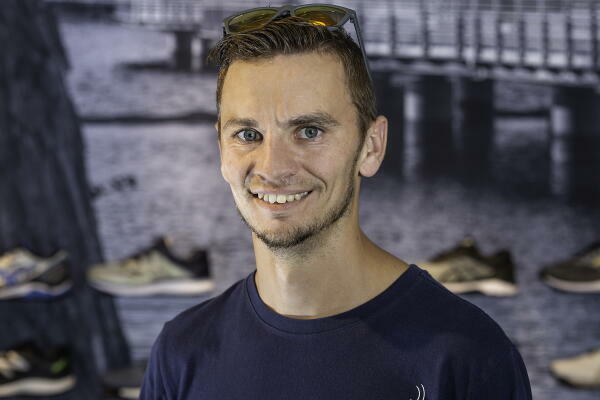 The Corpus Christi native joins Fleet Feet Austin after several years as a sport specialty rep, education enthusiasts on a plethora of product benefits.. The Academic All-American steeplechaser once went 13 out of 14 from the free throw line during a high school basketball game---take that, W.B. Ray Texans!. His team lost. Need some pep in your step? Yup, he’s got your back.